What’s the cheapest electric vehicle in America? Starting today it is the Smart ForTwo Electric Drive. With it Mercedes-Benz begins its push for Electric Drive vehicles across its lineup. Earlier we detailed MB’s plans to bring the B-Class to the United States as an electric-only halo offering. 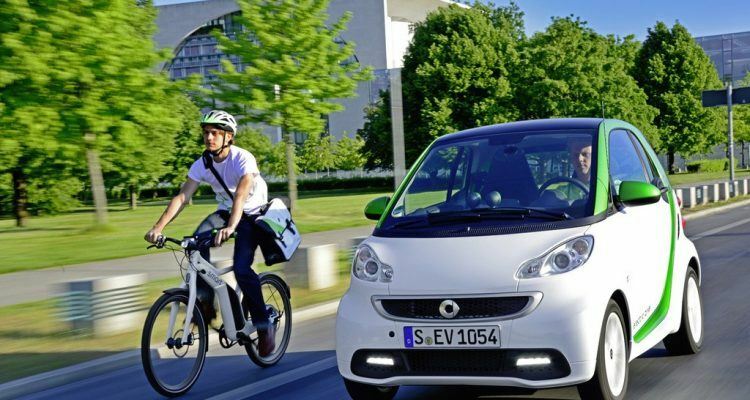 With the next-generation ForTwo and ForFour on their way, the company is betting on the buzz around an electric option of the Smart to boost sales. One of the major criticisms of the current Smart is its surprising inefficiency – just 33 mpg, a pathetic number for such a small vehicle. Electric Drive changes all that, and once again Daimler has tapped Tesla’s expertise in electric vehicles to produce it. Nice boost to the bottom line, Tesla. The 2013 Smart ForTwo Electric Drive has an official starting price of $25,000, the lowest of any electric. The next cheapest is the Mitsubishi iMiEV. The car also qualifies for the government’s $7,500 tax credit available to vehicles with a battery pack above 16 kw/h. That is an important hurdle that the ForTwo ED, with 17.6 kWh, clears easily. That credit puts the car at $17,50 – adding a home charging system will set you back $1,300 to $1,700, and charging will take six hours from a 240 volt plug. 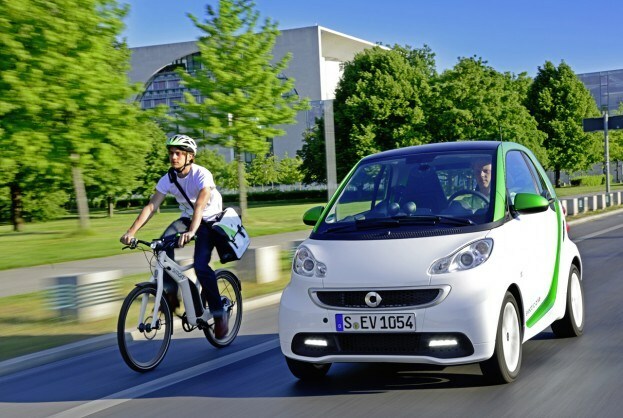 Could Smart find a foothold with electric power? In our opinion, the package a lot more sense as an EV. It has been significantly improved in every area over the previous generation model – price ($44,837 versus $25,000), charging time (six versus eight hours) and range, Smart promises. The only question is with range. While Smart says the 2013 will best the previous car’s 63 mile range, it doesn’t say by how much. Over the 100 mile barrier would be nice. You’re looking at what could be the perfect city car. Stop and go traffic and a small radius make this car a perfect option for city dwellers. The Smart ED goes on sale next Spring. 3 Comments on "Smart ForTwo Electric Drive Is Cheapest EV In The U.S"
Its nice to see the Smart Car so affordable. It’s perfect for urban areas like L.A where parking spaces are at a premium. It would be great in London too. The perfect size for learning to drive on, I wonder if you can get smart cars fitted with dual controls?? Just returned from Mexico City, they could do with something like this over there where the traffic is just out of control!! Or as they would say, ‘Loco’! !